Jason was professional and courteous. He answered all of my questions in detail. Nice clean up after the job was done and left the basement looking the same as when they came in. I am happy our home is warm again. Thank you! We are very satisfied and pleased by the service we continue to receive from your company. 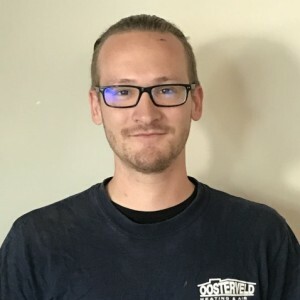 Your technician, Adam, is knowledgeable and efficient, a good problem solver. The problem still prevails, but I am sure he will solve it and remedy the situation. Richard came just for annual check up of my furnace. He did a good job.. But I also explain my concern and fixed all this, and my furnace is working now good. Thank you ! We have relied on the Oosterveld team since we moved to this area close to 12 years ago. Every aspect of the business we have had contact with has proven to be first rate whether it has been the supply and installation of new HVAC equipment, support on the phone as we learned our way around the sophisticated gadgets or the service and inspections they carry out for us. If your experience is anything like ours you will likely, like us, think of Oosterveld as the 1 go-to firm for HVAC. Adam was friendly and polite, efficient and professional. Thanks Adam! Great job! Prompt and efficient, Jeff performed a simple fix that was easy on the wallet. Adam was friendly and polite, efficient and professional. Great job Adam! Thanks! Very professional work. Took the time to explain everything they were doing, and, all the extra work they had to do to fix what had been done wrong in the past. Great job. Go with these pros and avoid these other "big box" HVAC people. You can't refer to the "big box" as pros, they are not in the same league as Oosterveld. Selection of both furnace & AC was made easy to choose from with a great explanation from the Salesperson without any pressure. The installation people were friendly & helpful & had the work done efficiently & left no mess. All the old units & parts were removed. Everything is working great! The installers we're professional and curtious. Simon showed up when he was scheduled to. They sent me a picture of the repairman prior to showing up...nice touch. Simon walked me through everything. Diagnosed the problem and resolved the problem. Excellent job Simon. Excellent, responsive service. Good communication. Most excellent staff in the office helped me get on top of the problem to manage it until service technician could arrive. Email. Otification of who the technician would be and when they would be arriving was most reassuring. Technician always arrived within the window of time booked. We needed help with busted furnace. Called and received help within hour. Serviced next day...complete within an hour. Gentleman was very pleasant. Adam is the best service technician that I have encountered to date. Extremely personable and, efficient & informative.